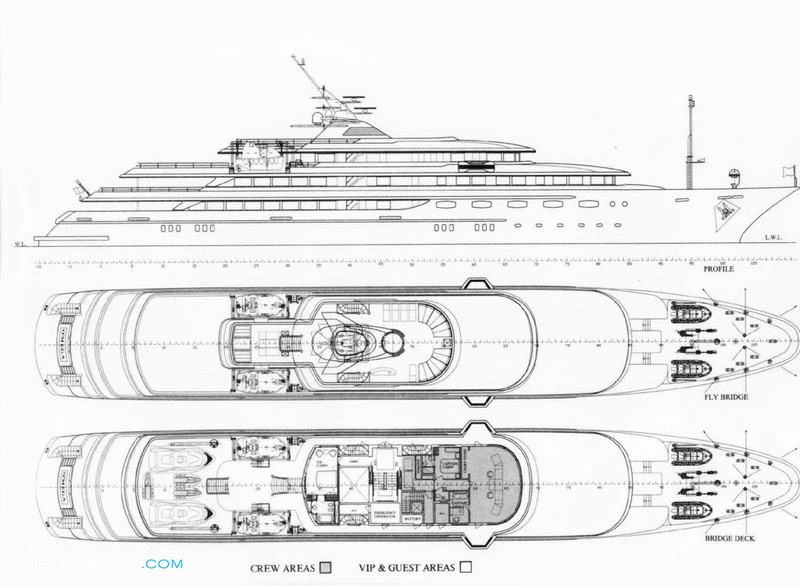 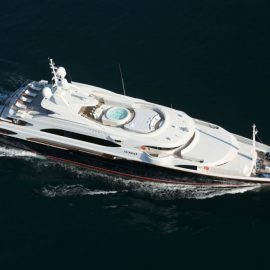 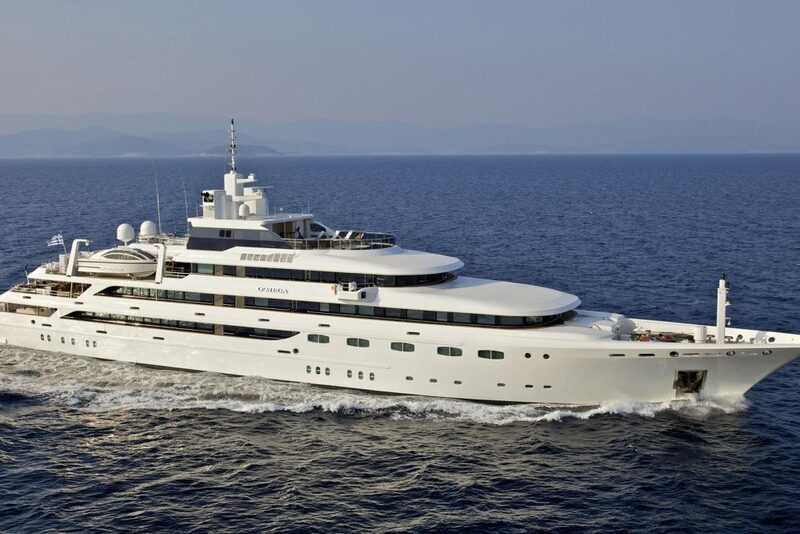 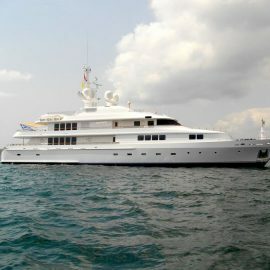 Built by Mitsubishi Heavy Industries in 2004 and refit to exacting standards in 2011, the 83m/271ft custom motor yacht ‘O’MEGA’ has remained one of the most refined superyachts available for charter. 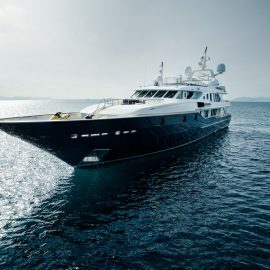 With an interior and exterior styled by the Italian design house Studio Vafiadis, O’MEGA exudes an effortless sophistication which makes her the perfect choice for a private yacht charter with up to thirty guests. 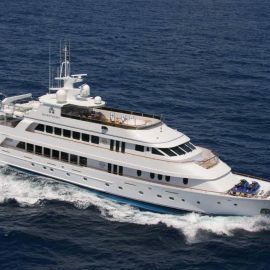 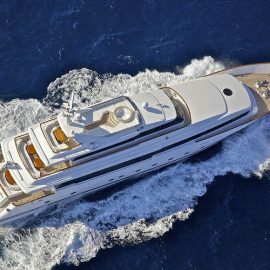 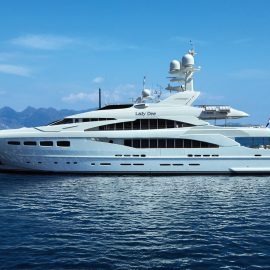 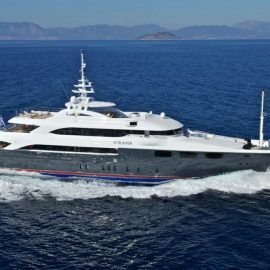 As such a highly voluminous vessel with accommodation for up to 30 guests, it should come as no surprise that motor yacht O’MEGA is complete with 14 exceptional staterooms. 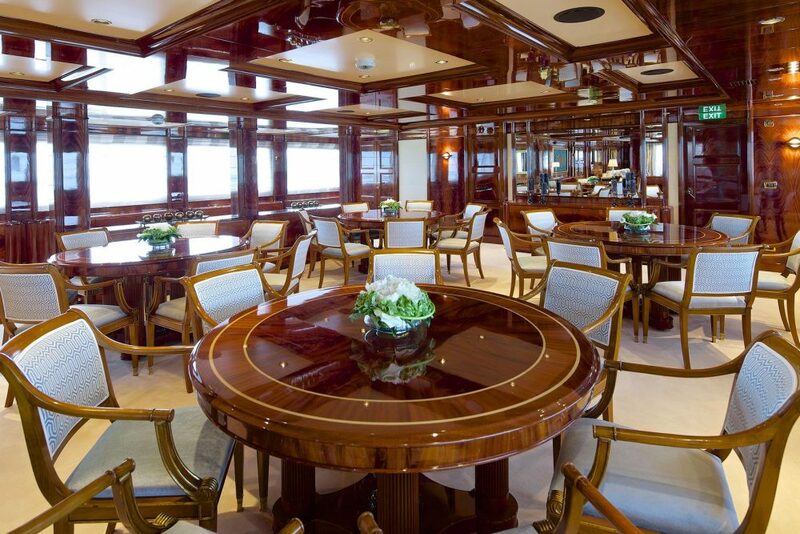 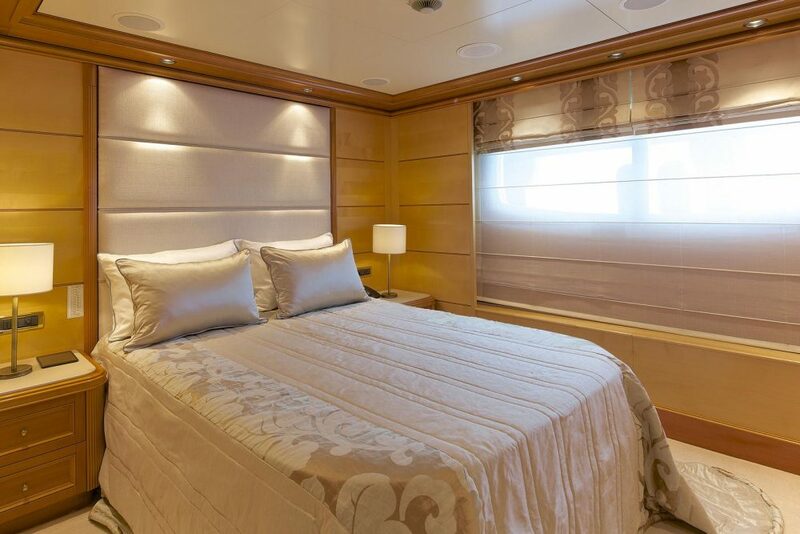 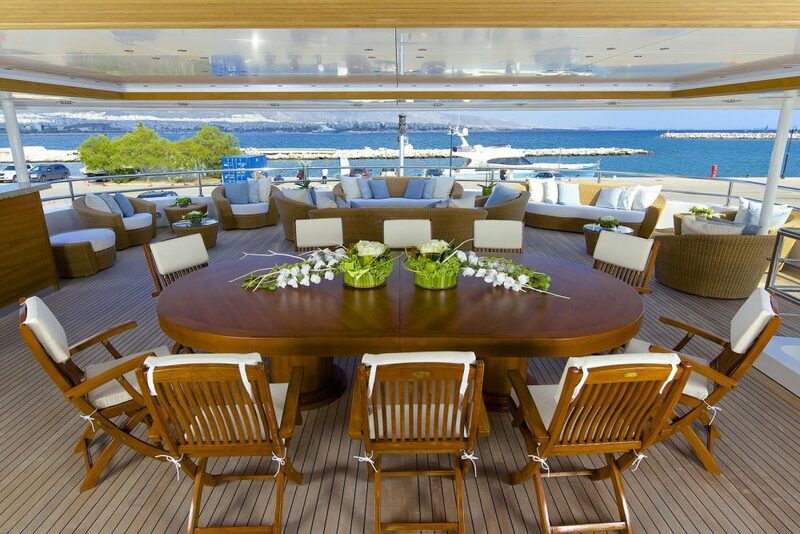 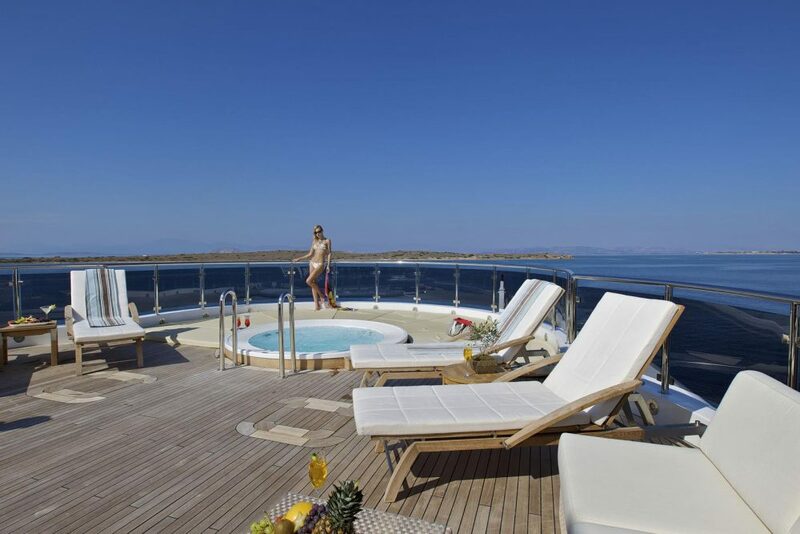 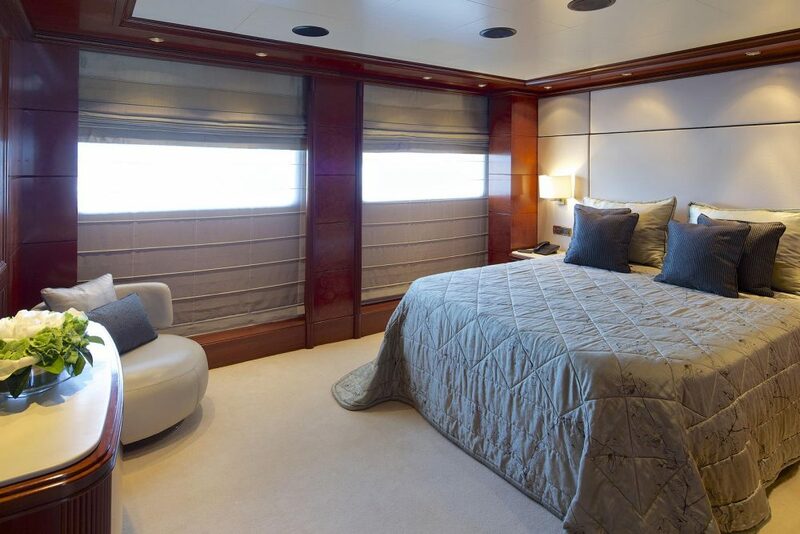 The most impressive of these suites is no doubt the master cabin situated forward on the upper deck. 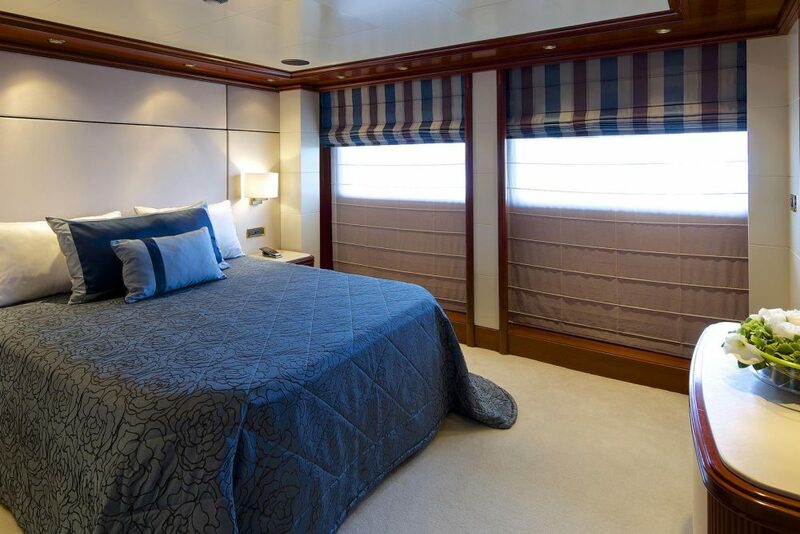 Offering panoramic views through semicircle windows which face forward, charterers occupying this cabin are able to wake up in only the most appropriate fashion Finished with yellow and white onyx, the bathroom adjacent to the suite forms the perfect complement to such an expertly designed stateroom. 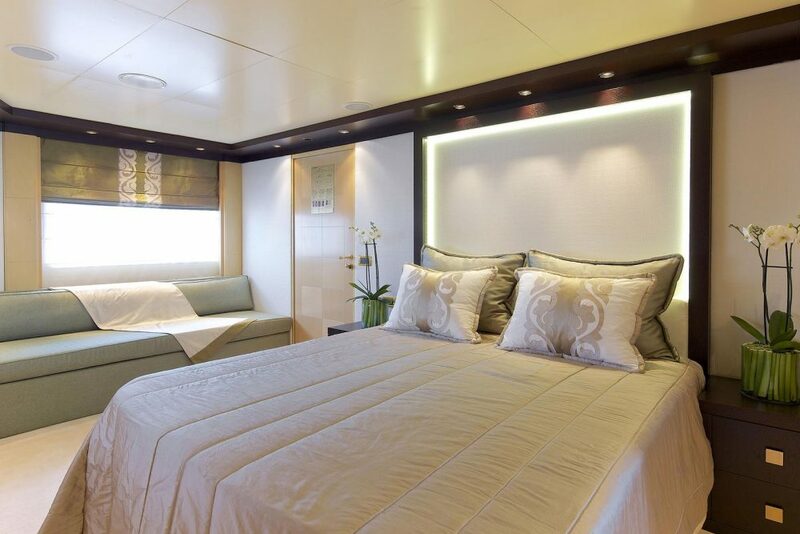 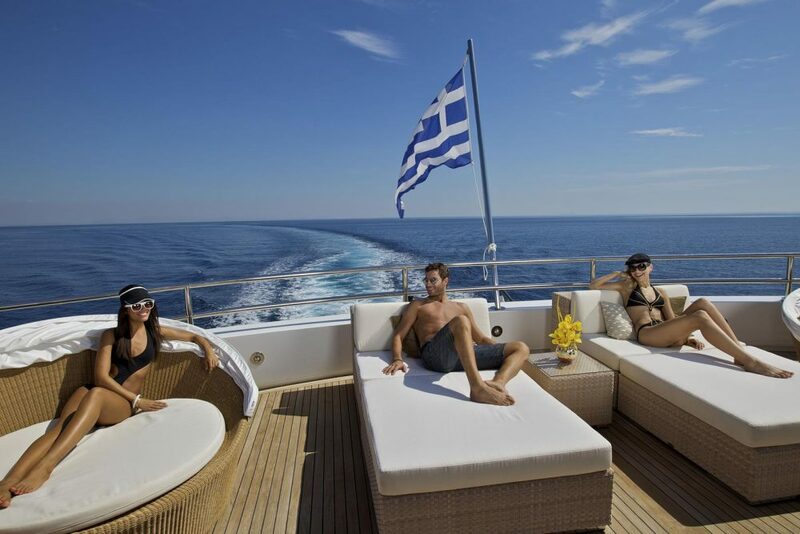 The 5 VIP cabins which are also available on O’MEGA are just as well-appointed. 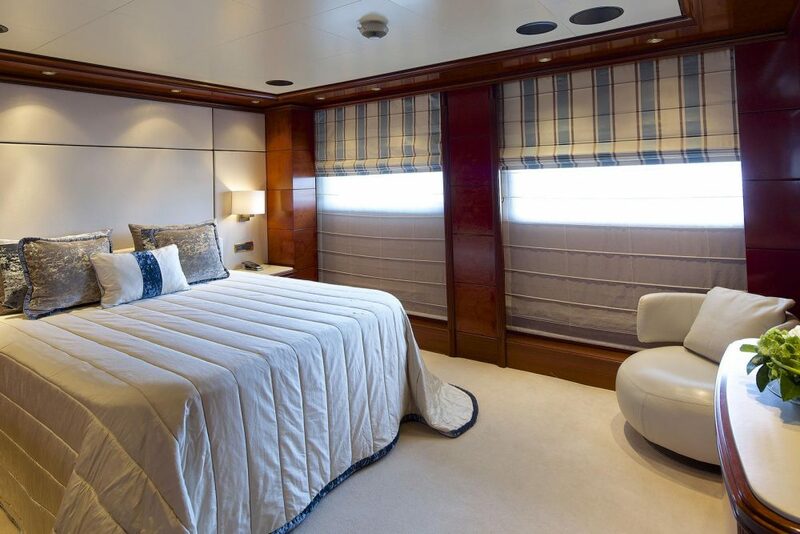 The VIP stateroom found on the bridge deck, for example, offers similarly outstanding views, and is only a little smaller than the master. 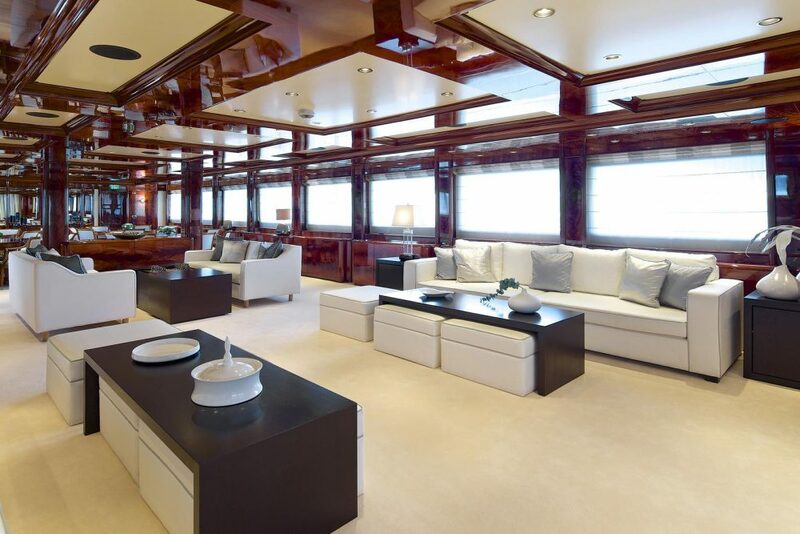 The additional 4 doubles and 5 twins are superbly finished, with entertainment systems and comfortable fixtures populating the spaces. 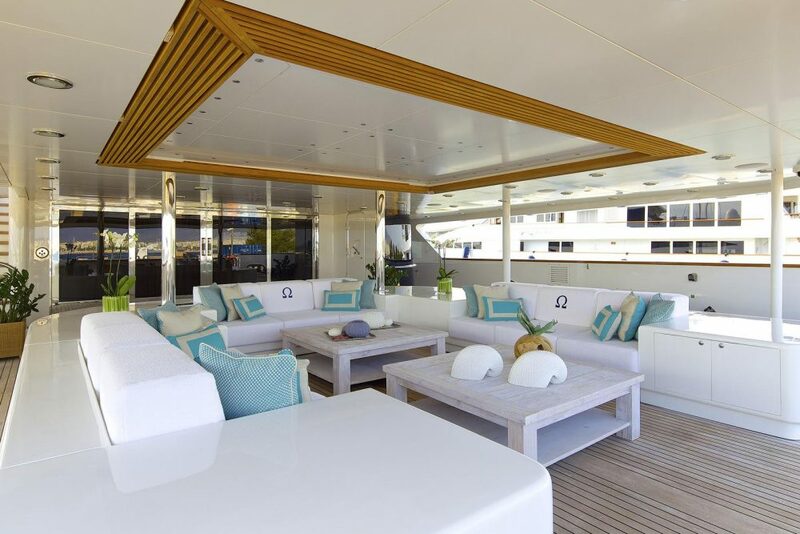 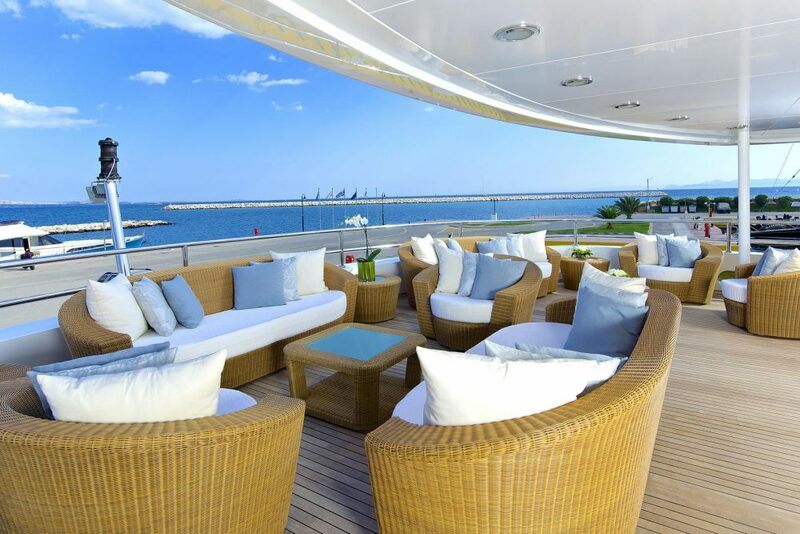 As a superyacht committed to entertaining larger charter parties, O’MEGA comes with a range of options for unwinding in style. 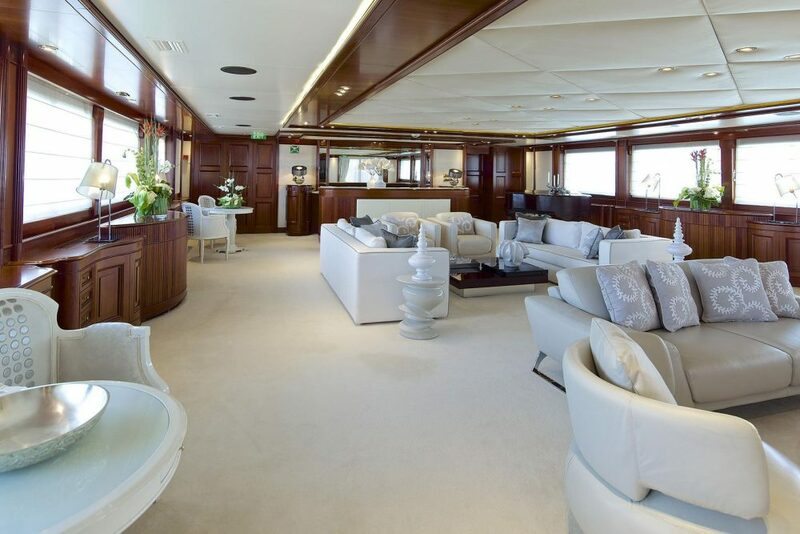 The crowning achievement is perhaps the upper salon which is complete with a piano bar which is presided over by a resident pianist to allow guests the luxury of combining their cocktails with appropriate background music. 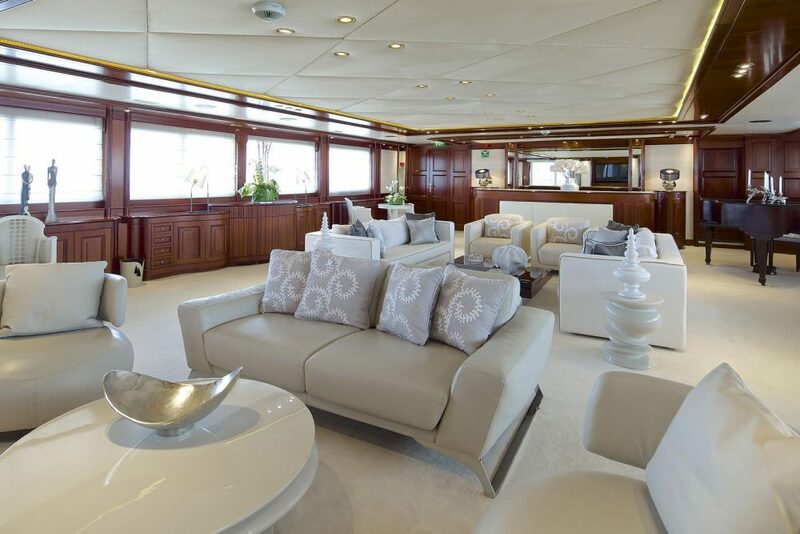 The arrangement of furnishings only a short distance away also means that guests can keep themselves gathered together late into the night to enjoy one another’s company to the accompaniment of music of their own choosing. 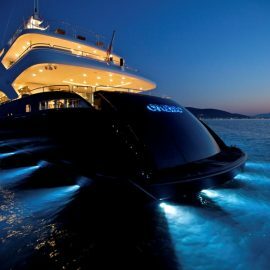 For those looking to catch up with the latest blockbusters, the home cinema is stocked with a generous range of movies to enjoy in a suitably cool area. 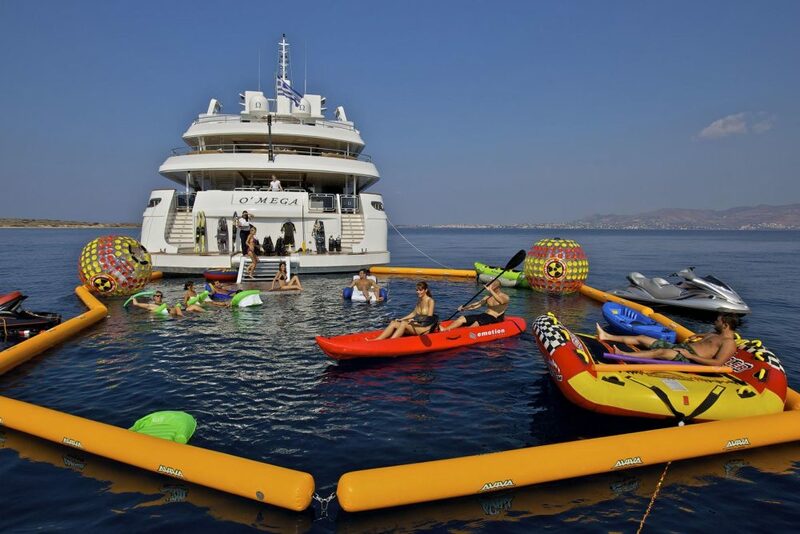 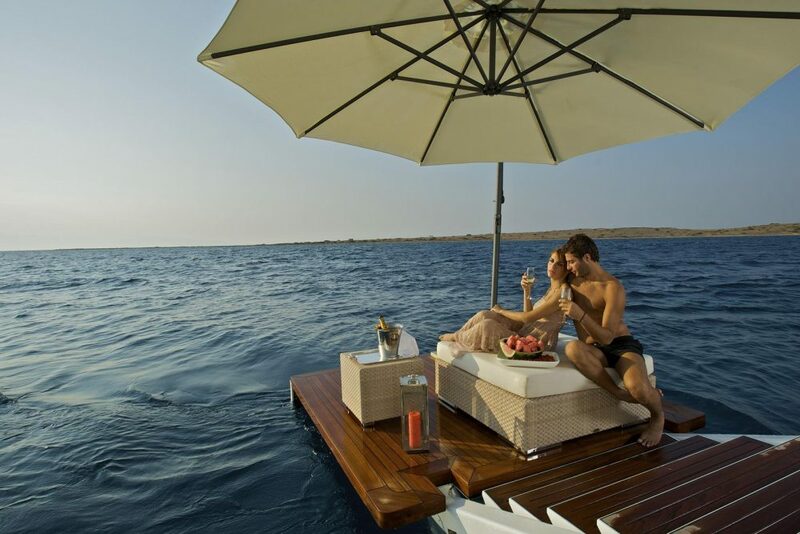 Of course, for those who prefer their entertainment to take place out on the water, the easy access to the water and diverse collection of water toys and tenders ensures there’s never a dull moment with superyacht O’MEGA.